If you need Professional Tree Care Services, hire an ISA Certified Arborist in Minnesota. There is no better way to ensure the professionalism of the company than checking for yourself that they have an ISA Certified Arborist. Find/Verify an ISA Certified Arborists in your Area Now. 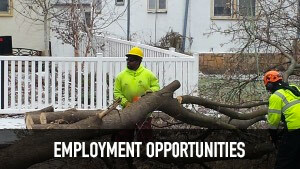 What Services does a Minnesota Arborist Perform? Want to know what species your trees are? ISA Certified Arborists are highly trained in local Arboriculture and can identify the trees on your property. Share with you estimated matured size, life span, and things to watch out for with the specific type of trees found. To be an Arborist, it requires years in the field and in education. If you need help nurturing a tree or vegetation, an ISA Certified Arborist has the tools and knowledge to identify exactly what is needed to help it prosper. They can also help you limit growth in certain areas, for safety reasons. Tree Trimming is a little more invasive than a haircut. It is like taking off a limb. And if not done property and with consideration for the tree, a tree can go south very quickly due to excessive injuries. ISA Certified Arborists are trained in minimally invasive tree trimming techniques. This is to preserve the life of every tree that needs trimming. Tree Removal is a big job. One that an Arborist is highly trained on. For the safety of your family, property and workers, it is important that only a Certified Arborist removes trees. Consider this, you wouldn’t go to a doctor without the proper degree, would you? Stump grinding seems pretty straightforward. Frankly, you find the stump, grind it and all the surrounding roots up. But what if there are trees or vegetation close by? Utilities? An arborist is trained to grind stumps and roots of only that tree, inflicting minimum damage to the surrounding area. Emerald Ash Borer (EAB), Oak Wilt and a few other diseases are present in this state. If not property handled, they can ravish through streets, cities and towns. An ISA Certified Arborist is trained on the proper quarantine and removal of disease/insect-infested trees. What are you waiting for, call our Local Arborist today! This entry was posted in Certified Arborist MN and tagged Arboriculture, Arborist Services, ISA Arborist, Minnesota Arborist, What does an Arborist do. Bookmark the permalink.